Ethel Hensley, age 81 of Manchester departed this life on Thursday, August 23, 2018 at the Manchester Memorial Hospital. She was born on Tuesday, August 3, 1937 in Manchester, Kentucky to the union of James L. and Haney Barrett Hensley. 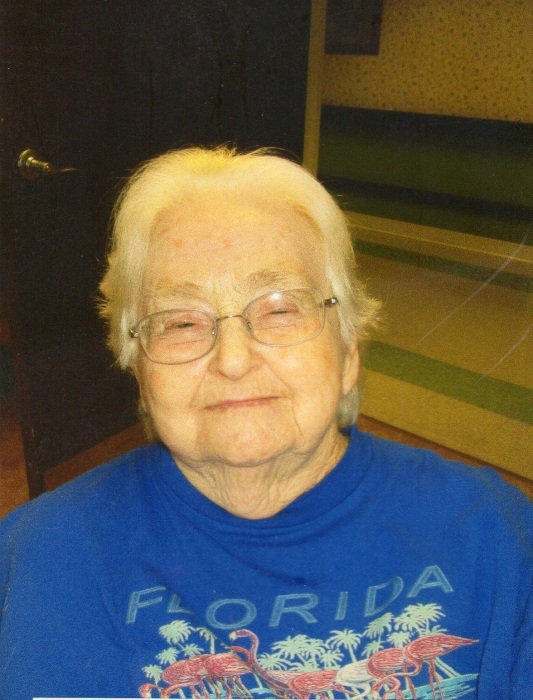 She was a homemaker and a member of the Jack’s Branch Bible Church. She leaves to mourn her passing her brother: Floyd Hensley, her special friends: Jackie and Chester Mathis and many nieces and nephews. She is preceded in death by her parents: James L. and Haney Hensley and these brothers and sisters: Farris Hensley, Sr., Mable Howard, Pauline Gilbert, James Hensley, George Hensley and William Hensley. The family would like to give special thanks to the staff at the Laurel Creek Health Care Center and the nurses at the Manchester Memorial Hospital. Funeral Services for Ethel Hensley will be conducted on Saturday, August 25, 2018 at 4:30 PM at the Rominger Funeral Home Chapel. Rev. Jim Smith will be presiding. Interment will follow in the Brown Mission Cemetery in the Laurel Creek Community. Visitation will be held on Saturday after 3 PM at the Rominger Funeral Home Chapel.